The event will be from 7-2 with a mandatory lunch break to be discussed at the pre-launch meeting. BIRMINGHAM, Ala. — B.A.S.S. 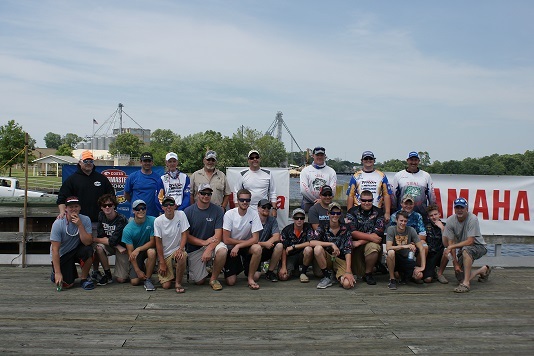 is now accepting nominations for the best and brightest high school bass anglers in the country to complete its 2018 class of distinguished students. The second place team of Jacob Poling and Damon Manly hold up their fish. Pictures Below: Jacob Poling and Damon Manly with Captain John Nichols are fishing the marina. The picture to the right is Jacob Poling holding a couple of nice fish. Great Job! Participants are to be at the ramp by 6:30 AM for check-in.